Enjoy 20 craft breweries, wineries, distilleries & tasting rooms so close to Washington, DC. 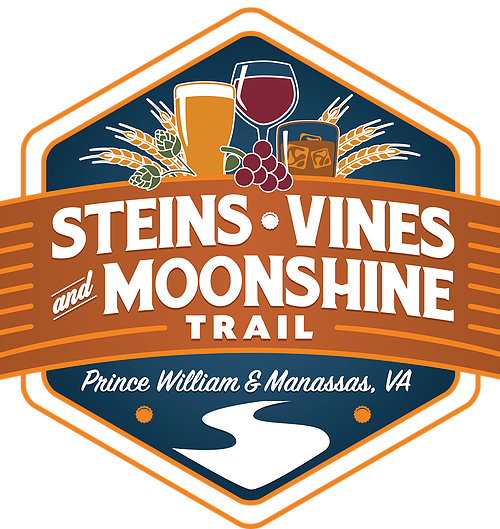 The Steins, Vines, & Moonshine trail is a self-guided tour. There are three clusters - Eastern Prince William near I-95, Western Prince William near I-66 and the Central Manassas area. Each Craft Brewery, Winery, and Distillery is independently owned and operated. Questions on trail sites, directions, nearby hotels, and other assistance are available at the Prince William County Tourist Information Center in historic Occoquan, Virginia. (703)491-4045. To legally drink, you must be 21 years of age or older. NEVER DRINK & DRIVE! Prince William, Virginia is UBER, LYFT and Taxi Friendly.